Good news for guests wishing to rent XXIO rent clubs and/or shoes! 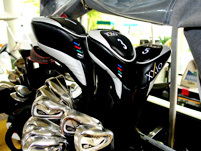 After paying for your rental clubs and/or shoes the first time, rentals will be free for the rest of the week. This applies to guests staying at Onward Talofofo Golf Club and Onward Mangilao Golf Club. In such cases, please bring the receipt for rental payments or your start sheet and present these to the reception at the next golf course. 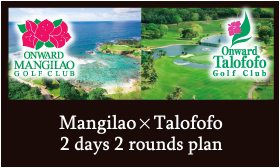 Play 2 and/or 3 rounds and get more great deals at Mangilao and Talofofo! 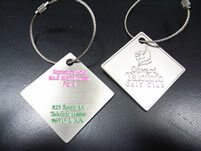 We offer one $20-off shopping coupon per player, per round, starting from the 2nd round of golf. These shopping coupons will be valid only on the date of play at each pro shop and restaurant. 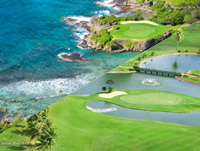 This plan is available to guests who play more than 2 rounds of golf at the same golf course. This coupon applies for online reservation guests only. Talofofo Golf Club offers an original Bag Tag to guests who make reservations through our online golf reservations system. *Please note that the original bag tag may be different from the product image. 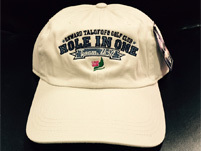 Any player on either course who achieves a hole-in-one will receive an original hole-in-one cap and a special commemorative certificate.